The exclusive partnership with Barnsco Decorative ensures exposure and availability of high-quality coving products in the resinous flooring industry for the Texas market. Libertyville, IL – Easycove® announced today, it has partnered with Barnsco Decorative Inc. as its Texas distributor for Easycove® patented coving products. The agreement includes distribution of 1”, 4” and 6” coving products as well as our high performance adhesive. Under this agreement, Barnsco Decorative, will serve the entire Texas marketplace. Barnsco Decorative is a leading provider of decorative concrete material, equipment sales, and rental supplies. With Barnsco’s years of experience, and with an expansive inventory dedicated to meet the needs of their customers, Barnsco is dedicated to your success. Easycove® is delighted to be partnering with Barnsco. With high demand for coving and the need for a Texas Distributorship, we couldn’t be more pleased to be working with a solid, professional, and experienced company. 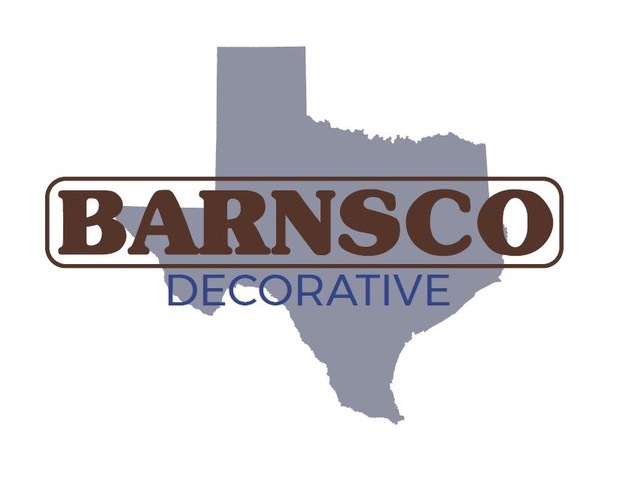 Barnsco Decorative will greatly improve the capability to serve customers who desire quality coving solutions in Texas.”, said Heather O’Brien, President of Easycove®. Barnsco Decorative, Inc. states, “We pride ourselves in having the best products in the industry on the shelf when our customers need them. Choosing to make the switch to Easycove was simple. Great product, great pricing, great service. And now it will available in Texas”. About EASYCOVE® Easycove® is a manufacturer of uniquely pre-formed coving products engineered to create a vastly superior bond to the walls and floor for coving demands in the resinous flooring industry. Installed in a fraction of the time, compared to traditional troweled coving, Easycove’s unique interlocking bond channels outperforms all other products on the market today. The moisture barrier, impact and tensile strength is second to none, and offers significant reductions on labor and material costs across the board. Visit Easycove.com for further information. About Barnsco Decorative Concrete Supply Barnsco Decorative Concrete Supply is a provider of decorative concrete material, equipment sales, and rental supplies. Our 20,000 square foot facility is the largest decorative concrete store in Texas and hosts a 6500 square foot showroom. We have an expansive inventory dedicated to meeting the needs of our customers. Through various demos and training on products and applications, we seek to assist contractors in expanding and improving their service abilities in the field. Visit http://www.barnscodecorative.com/content/about for more information.